Smokey Bear’s classic slogan, “Only You Can Prevent Forest Fires”, has been a part of American culture since its introduction in 1947. In fact, his message is so remarkably iconic that he is recognizable by 96 percent of adults in the United States, and 70 percent can recall the tagline without any prompting. Smokey the Bear is right, too, since people are almost completely responsible for wildlife fires. Prior to his colloquial phrasing, Smokey actually more-succinctly stated the severity of the problem in the initial years of his public appearance: “Smokey Says – Care Will Prevent 9 Out of 10 Forest Fires”. Unfortunately, even with Smokey’s culture-defining message, people are still responsible for 90 percent of all wildfires. 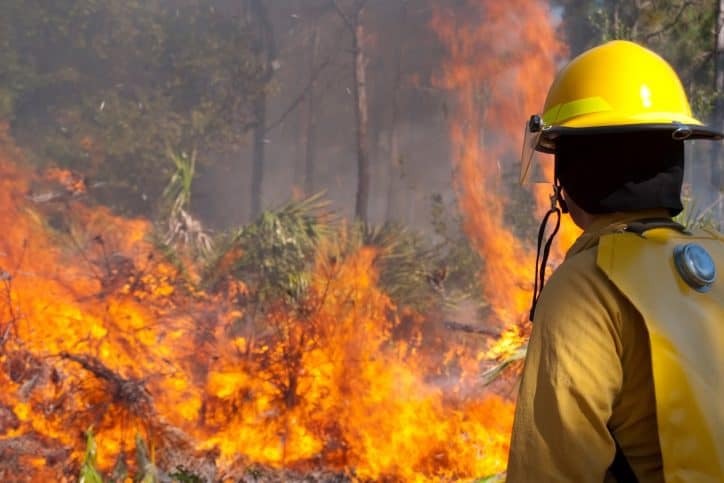 Whether unattended campfires, the burning of debris, negligently discarded cigarettes, or intentional acts of arson are the cause, human beings start most wildland fires, which can rapidly spread, depending on the specific topography and weather patterns, such as heavy wind or extreme heat. In 2015 alone, there were 68,151 wildland fires in the United States. These can be extremely devastating, as 10.1 million acres of land were burned from wildland fires in that year. Only you can prevent forest fires, but only experts can stop the fires that haven’t been prevented. Wildland firefighters, from the nature of their profession, require a skillset that differs from firefighters who deal with structural fires. Interestingly, the general purpose of wildland firefighters has significantly changed since the early to mid-Twentieth Century, back when their main goal was only to suppress the fire as quickly as possible. Today, with a greater understanding of the ecological effects of fires, wildfire management consists of building a strategy that considers safety, economics, social considerations, and anticipated environmental effects. 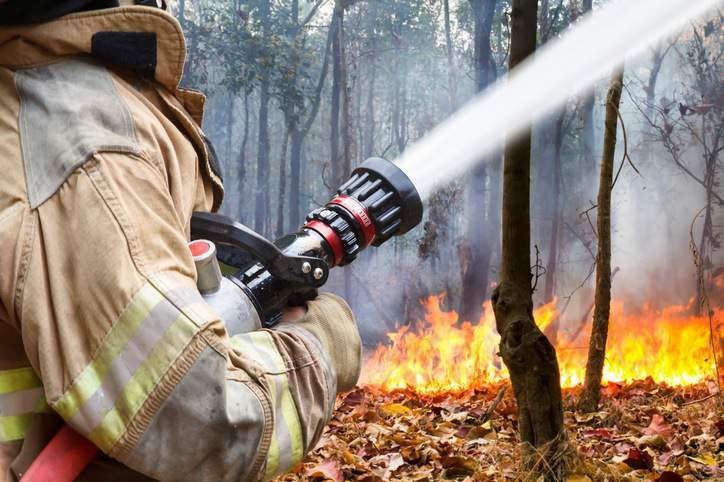 Guidelines for a well-strategized wildfire management plan, with appropriate preparedness, fire suppression, and post-incident techniques, are detailed in NFPA 1143-2014 – Standard for Wildland Fire Management. The exact skills of modern wildland firefighters might differ person to person, depending on their specific duties. 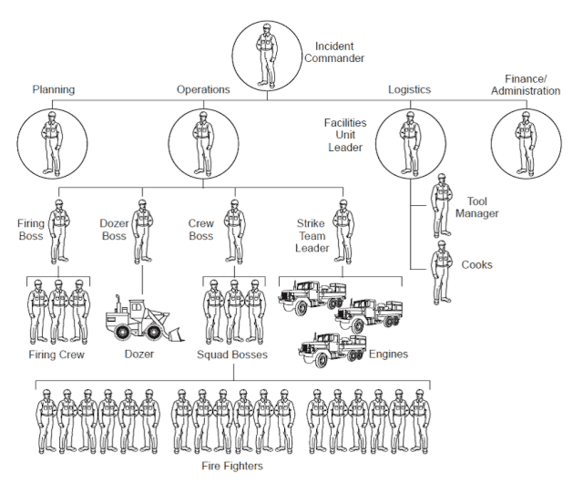 According to NFPA 1051-2016 – Standard for Wildland Firefighting Personnel Professional Qualifications, there are firefighter levels of Type 1, 2, 3, 4. Type 1 consists of the firefighters that deal with the wildfires head-on, such as smokejumpers (the professionals who parachute out of helicopters or airplanes and into the source of the fire for containment). Further competencies are addressed in the standard document. While the goal is to prevent any unwanted damage from the fire, the welfare of human lives remains the upmost priority when managing a wildland fire. 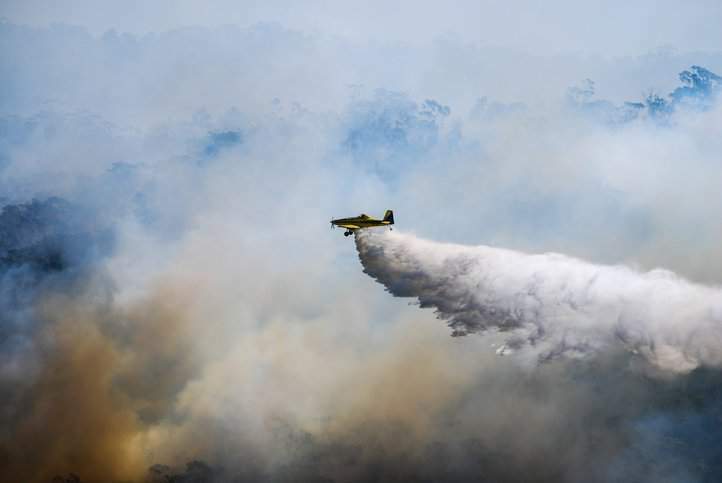 In addition to preventing fire from spreading into inhabited areas for the public’s protection, there must also be efforts made to safeguard the firefighters. Because of this, protective garments and labels should be designed in compliance with NFPA 1977-2016 – Standard on Protective Clothing and Equipment for Wildland Fire Fighting. Of course, also important to the operations of wildland firefighters is the appropriate equipment to contain and manage the fires. In the early days of wildland firefighting, initial detection of the fires was done though fire lookout towers. Today, most of these fire lookout towers stand as relics, since planes are used to serve the same purpose. In recent years, even drones have been utilized to detect wildfires. Aside from the reconnaissance of fires, planes serve many other purposes: dropping water or fire-repellants onto the source of the fire for containment, deploying smokejumpers and rappellers to a fire, delivering equipment and supplies to ground troops, and transporting firefighters. On the ground, the organization makes use of fire engines and bulldozers. All of the heavy machinery and apparatus used for transporting firefighters, carrying and deploying water, and containing fire, are specified through guidelines in NFPA 1906-2016 – Standard for Wildland Fire Apparatus. As previously noted, the primary goals of wildland firefighters have changed in the past century. In the early days of wildfire management, mitigation organizations strove almost entirely for suppression. The logic behind this made a lot of sense; they would stop the fire as quickly as possible to limit the harm brought to the forest and nearby people. However, further research on forest ecology later revealed that occasional forest fires are actually an important aspect of a healthy woodland ecosystem. Today, many forests will undergo prescribed fires, in which they are intentionally burned for a particular purpose. A controlled burn can actually reduce the severity of an unintentional fire in the future, as it eliminates the hazardous fuels that accumulate over time. Controlled fires can also dispose of logging debris, prepare sites for seeding and planting, improve wildlife habitats, manage competing vegetation, control insects and disease, and perpetuate fire-dependent species. Because of the importance of prescribed forest fires, Smokey Bear’s famous motto, while well intentioned, is actually misleading. To convey more accurately the current state of forest fires, in 2001, the anthropomorphic ranger’s message was changed to “Only You Can Prevent Wildfires.” However, the main idea to take away – be responsible with fire – has always remained constant in the mascot’s advertisements. Additional National Fire Protection Association (NFPA) standards are available on the ANSI Webstore. 1. National Fire Protection Association (NFPA), NFPA 1051-2016 – Standard for Wildland Firefighting Personnel Professional Qualifications (Quincy: NFPA, 2016), 19.